NASSCOM Foundation at its flagship event, The CSR Leadership Conference (CLC), announced that the Industry had widely accepted the 2% CSR rule with a trend of more and more companies coming out openly to declare 100%+ utilization of their CSR money for 2015 -16. · Increasing number of companies investing on non-headquarter geographies: Geographically, while maintaining focus on states that host headquarters: Karnataka, Tamil Nadu, Maharashtra, Telengana and NCR, companies are now also going to non-headquarter locations for CSR, indicating growing equity in the distribution of projects between urban and rural areas. · ‘Technology for Good’, A Reality: Increased importance on technology integration in various stages of CSR lifecycle, including, innovative solutions for projects, monitoring and reporting and volunteer matching. · Clear cut path to monitoring astuteness for CSR projects: Companies have become increasingly aware of outcome assessment and close monitoring implementing agencies as evidenced by the growing frequency of report submissions from partner organizations, and greater on-ground frequency of CSR team. · Persisting Roadblocks: A large percentage of companies surveyed spoke of identification, selection and due diligence on NGOs and the absence of robust tracking process as biggest challenges in CSR project undertakings. 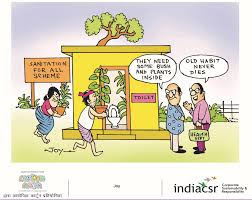 · Education forms the major chunk of CSR spend: About half the companies interviewed have spent more than 60-70% of their CSR spend in education initiatives and the remaining half spend between 30-40% of their budget in education. 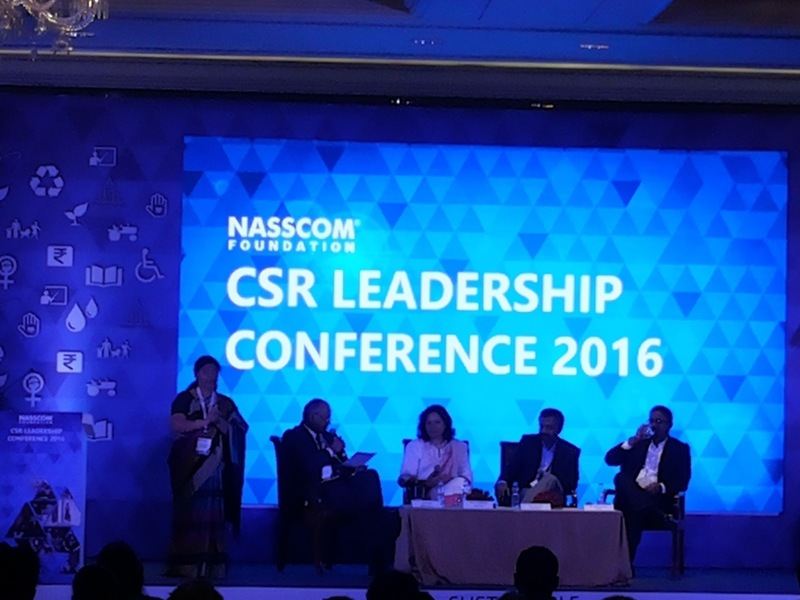 The CLC which started primarily as an IT-BPM industry specific CSR conference, has widened its approach and has come out to help companies from across various industries in fulfilling their CSR goals in a meaningful way. This year’s CLC hosted the leadership from Manufacturing companies like Dell; Banking and Financial services firms like UBS, HSBC, HDFC, Duetsche Bank, Wells Fargo and Fidelity; Healthcare and Pharma companies like Cipla and Lupin; Steel, Energy and Infrastructure companies like JSW and Essar; Insurance companies like All State, Retail companies like Target; Telecom and VOIPcompanies like Vodafone and Avaya; Education domain companies like Ellucian and 4 C Learning; Engineering and R&D companies like CISCO, Intel and Aricent and IT-BPM companies like Wipro, Mindtree, MpHASIS, Accenture, Sonata Software, Hinduja Global Solutions and Thomson Reuters among others.